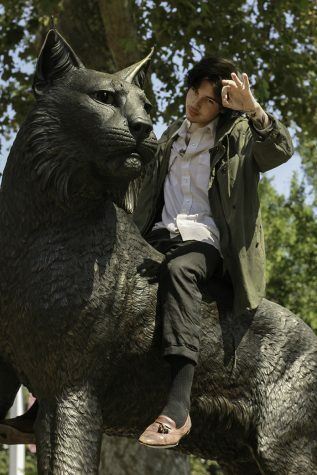 Eli McNay takes a ride on Willie the Wildcat on Sunday afternoon. 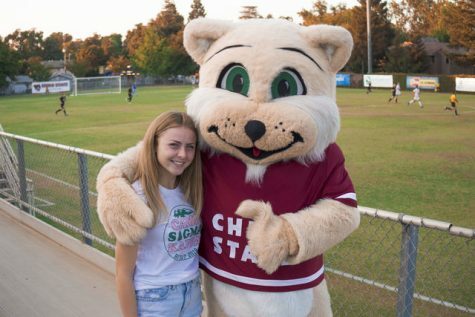 Willie the Wildcat and Chico State student Annecy Rocca support the Chico State Mens Soccer Team at the Chico State Wildcats vs. Seattle Pacific Falcons Western Washington Vikings game. 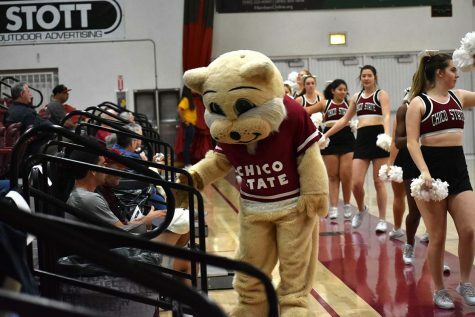 Willie the Wildcat greets fans at the February 17 woman’s basketball game.